Is Winter The Best Time To Open A New Food Truck? – Food Truck Talk – Searching for the best foodtrucks! 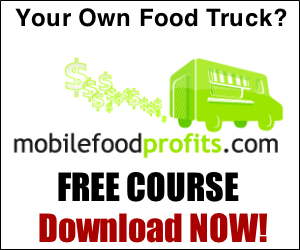 Brian Sacks of MobileFoodProfits.com addresses a potential food truck operators question and misconception. When really is the right time to open your new food truck operation? With the current weather in the North East this is certainly timely advice! What is the best time year to open our food truck? We live in the North East where the winters can be rough? Should we wait until spring or just go for it? First I want to thank you for the question. It sounds like you are just in the beginning stages of getting “on the road” and I wish you much success. On the surface it would seem to make sense that you should wait until the weather eases up. BUT I HAVE FOUND THE EXACT OPPOSITE IS TRUE. Let’s take a step back and break out the groups you will offering your food to. First we have the lunch crowd. Next the dinner crowd. Then of course we have the late night after the bar closes crowd. Finally we have fairs/festivals and sporting events. In terms of the lunch crowd I would suggest that the colder months are probably better for business than the summer months. Sounds strange right? But let’s think about it. Most people have a 30 minute lunch break. In that time they have to leave their office and get into their car. They then have to drive to the restaurant or carry out. Then they must eat their food and get back to work. Not much time huh? When the weather is poor most people would opt for good food located right at their front door or parking lot. THE BIG IDEA HERE IS TO FIND A HUNGRY OFFICE COMPLEX THAT HAS LIMITED FOOD OPTIONS! Now let’s move on to the dinner crowd. They truly may be affected by weather so you might find this group is not appropriate for waiting in a New England winter or fall. The late night bar and college crowd however, would love the convenience of having your food close by. In many case you might even be the only food option open after the bars close. Then of course you also have fairs, festivals and sporting events. All are great opportunities for you to be “ on the road” building your business and brand. It goes without saying that you should not be out when it is dangerous to even drive but those days are only a few even in New England. So by all means get going and get out there! BTW— I almost forgot. Here’s a quick bonus lesson. When the Big Storm does come how about having your truck on the street offering FREE FOOD for the snow plow drivers, firemen and policemen. Aside from being a nice thing to do – It will get you a ton of positive publicity and get the word spreading around about your mobile restaurant.